Home Page / Home / Business / On This Day In Comedy… In 2002 ‘Juwanna Mann’ Was Released by Warner Brothers! On This Day In Comedy… In 2002 ‘Juwanna Mann’ Was Released by Warner Brothers! On this day in comedy on June 21, 2002, Juwanna Mann was released by Warner Bros. Starring Miguel A. Nunez, Jr., Juwanna Mann is a comedy about the redemption of a bad boy professional basketball star. In the big league he’s one of the best but can’t stay out of trouble and after going off once too often (stripping on the court) Nunez is banned. In an instant, his entire house of cards crumbles. He loses his house, cars, friends, girl, and life. Nunez is forced to go live with his no-nonsense aunt. Those arrangements smack him in the face that he can’t live like that, so he resorts back to the only thing he knows – basketball. He dresses up like a female to play women’s pro ball. The gender-swapping plan works wonders. Nunez becomes a star in the women’s league with all the perks that come along with it including a male groupie (Tommy Davidson) hell-bent on getting some. Nunez has his hands full trying to avoid that one and tries to get his hands full of his teammate with the big booty (Vivica A. Fox), but can’t because he’s supposed to be a girl – remember? Meanwhile, Fox is dating a rapper (Ginuwine) who’s cheating on her. Oh, drama! The redemption part is coming up. Nunez learns to be a better player (teamwork) and a better person thanks to his experience. Too bad it had to blow up in his face. When the women’s team played their championship game it was at the same time Nunez (the male version) was having a hearing to get reinstated. He chose to play ball and not let his team down, but during play, his wig comes off and the jig is up. Now he has nothing again until Fox and the other girls vouch for his renewed character and all’s well that ends well. He got his career back and the girl. Juwanna Mann was written by Bradley Allenstein, produced by Bill Gerber and directed by Jesse Vaughan. It co-starred Jenifer Lewis, Kevin Pollak, J. 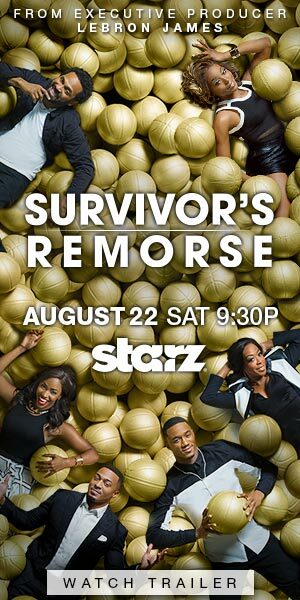 Don Ferguson, Kim Wayans, Lil’ Kim and real league players (Cynthia Cooper, Rasheed Wallace, Teresa Weatherspoon, Vlade Divac, Katy Steding, Muggsy Bogues, Jeanne Zelasko, Dikembe Mutombo). The movie was not well received by the critics or the public. On a budget of $15,600,000 the film grossed $13,802,599 at the box office. On This Day In Comedy... In 1972 Comedic Actor John Cho Was Born! On This Day In Comedy… In 1983 Comedian, Actor, And Writer Aziz Ansari Was Born! On This Day In Comedy… In 1969 Actor, Producer, Rapper Ice Cube Was Born!